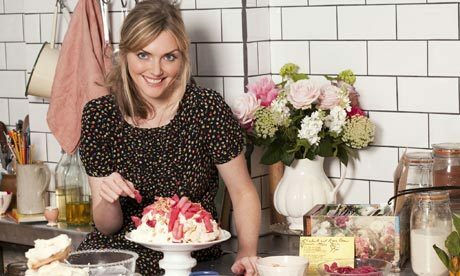 Sophie Dahl also goes to great pains to associate food with moods and memories – think a lowbrow, forced version of Proust’s Madeleine. The result, I found, lacked in authenticity and spontaneity. I would rather watch a live show in which cooks make mistakes than what TV marketing professionals feel is the illustration of the perfect woman of our times – an independent, feminist domestic goddess with an uncontrollable love for cupcakes, dirty martinis and all things coquettish. How regressive. I wonder if Ms. Dahl will be shilling vacuums on the show soon? Maybe garters?